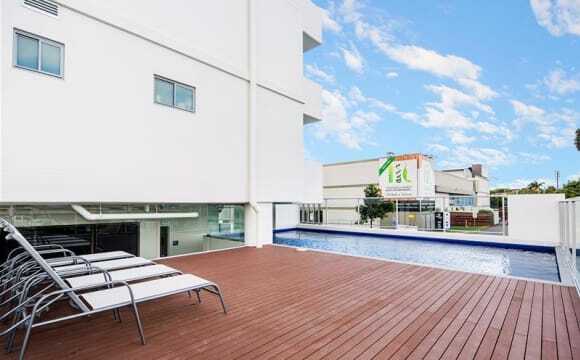 Walking distance to Westfield Chermside (200 meters) , close to public swimming pool, library, hundreds of shops and restaurants. 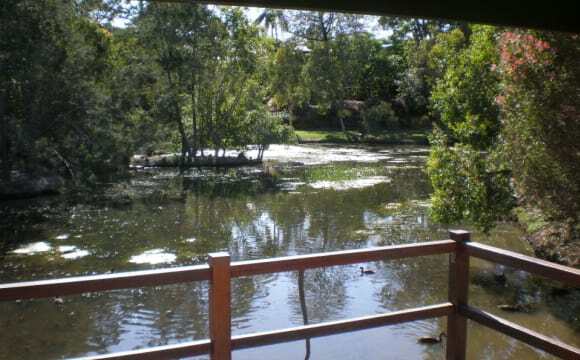 property's location is very good, walking distance to westfield shopping centre chermside and bus station. this is modern apartment, it is with security door and visitor parking space. 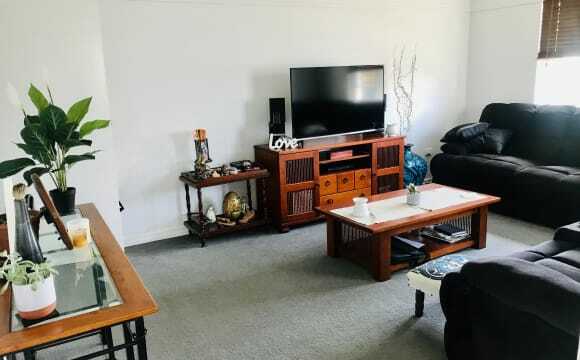 Smart TV with Netflix, close to Westfield Shopping Centre, quiet corner block with friendly neighbours, bus stop close by, large 5 seater sofa in living area, unlimited Nbn wi-if. 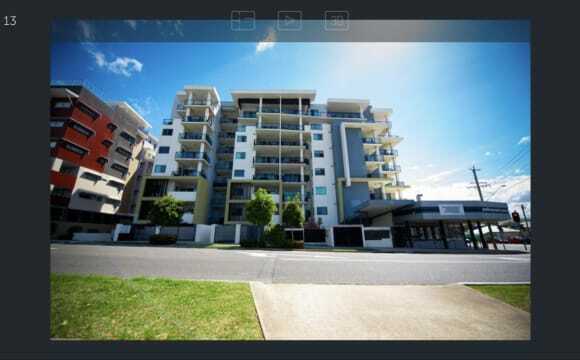 Live in a new, fully furnished unit only 500m to Westfield Chermside. It’s an easy going building with lots to do in the area. You’ll get your own bathroom, and you’ll get to live with an awesome little angel of a pug, Benny! I like to keep things neat and tidy as much as possible. It’s a great space with a great feel. 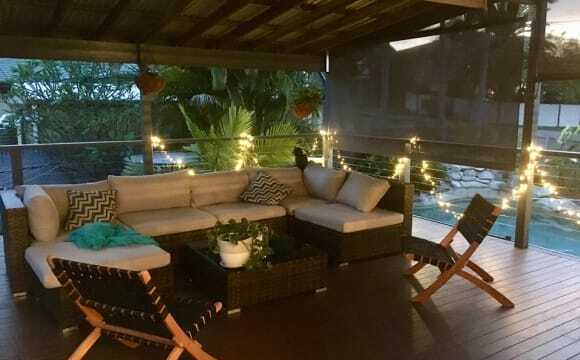 The house is very close to Westfield Chermside, practically within walking distance. 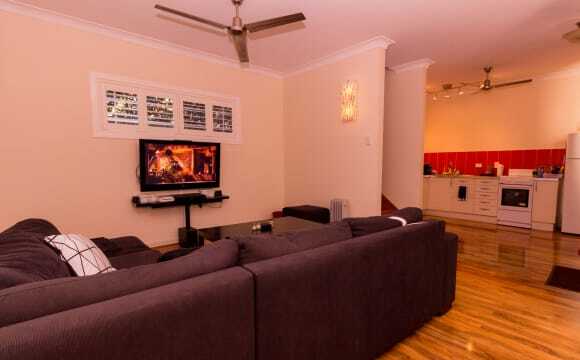 We have a living room area with a big TV, which includes Foxtel. We also have a downstairs outdoor area which is great for occasions with friends. 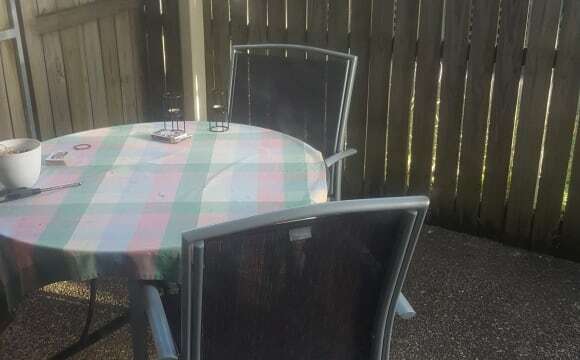 House is adjacent the park in a quiet coldesac and 5min walk to chermside shopping center, gym, pool, library and bus interchange. 20 minutes walk to train station. Two Common verandah areas overlooking the park. Laundry has iron , iron brd and new washing machine and dryer. The kitchen has two large fridges, two large pantrys, New oven, dishwasher,microwave and all kitchenware. Filtered water on tap. Unless you have your own furniture All rooms have double bed, wardrobe,desk, mirror and digital tv. Rent includes water, power and unlimited wifi. We live in a large 5 bedroom house (2 bedrooms are detached where two housemates live). 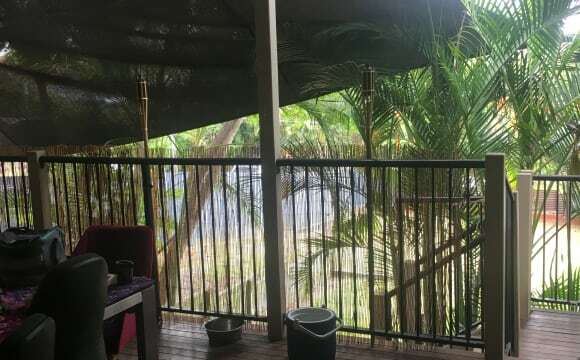 The main house has 3 bedrooms, 1 full bathroom and an extra toilet, air conditioning to the main living areas, and a large kitchen with lots of natural lighting. 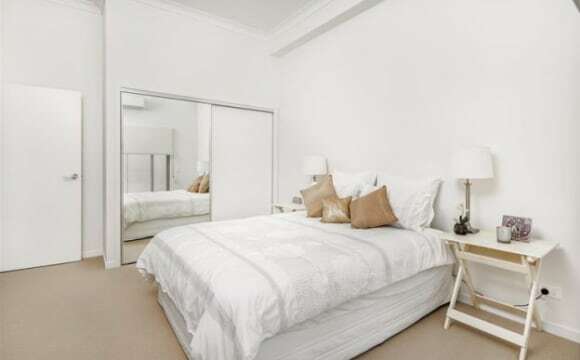 SHORT TERM LEASES AVAILABLE Beautiful Queenslander, fully furnished with luxury decor throughout. Share accommodation with your own en-suite. The home is warm and inviting, with a separate lounge, combined dining lounge area. If you like cooking, the kitchen is fully equipped and also features a dish washer. There is a large pantry and everyone has their own shelve. There is also a bar fridge in the dining area, also with your own shelve. 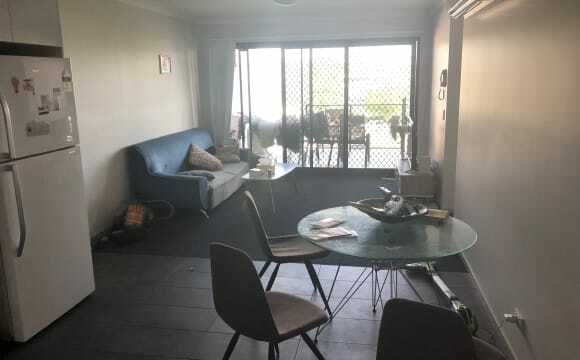 Beside the outstanding condition of the house, the house located in great location with convenient public transport to go everywhere - UQ (Herston Campus) , QUT (Kelvin Grove / Herston campus) or Chermside Shopping Centre, Griffith University on Bus 77 from Hamilton rd, and close to Holy Spirit Hospital Chermside. It is well worth the money with this share house which have everything ready for you to stay. 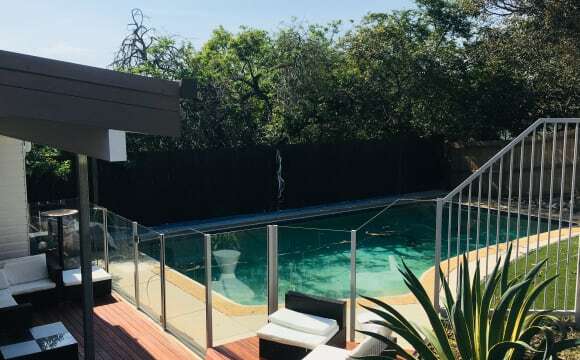 Internet Provided If you like sport, Marchant Park just walking distance from the house and there is 24 hours gym in Chermside Shopping Centre (Westfield). Your room contains:- - Ducted Air conditioning - Own ensuite / toilet inside your room - Queen size bed. 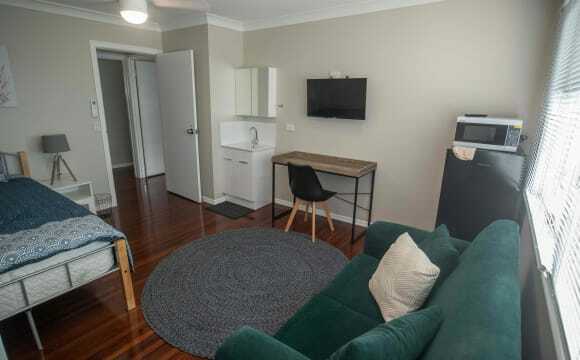 No linen included - Built in Wardrobes - TV - Study desk and Chair Rooms Available : Room 4 - $235.00 per week - Available NOW Room 7 - $235.00 per week - Available 21/06/2019 Two parking spots and two under cover parking spaces with remote for an extra $10.00 per week. Your rent includes:- Gas, Water, Gardening; Electricity, Free use of the washing machine. More in Common Area - Fully equipped shared kitchen with dish washer. 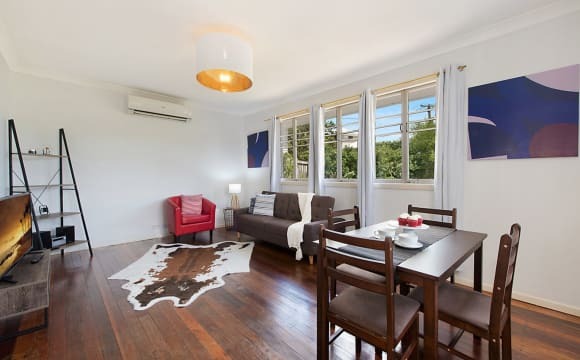 - Good size separate dining area - Warm welcoming living area with TV facility - Shared laundry - Outdoor BBQ area / Smoking Area - Two office desk; Chairs for use. Education Facilities Close by: - UQ School of Dentistry (UQ Herston Campus) - approx. 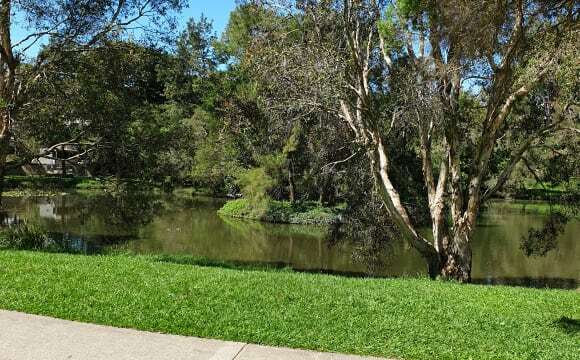 9.6km - QUT Kelvin Grove Campus - approx.10.8km - QUT Gardens Point Campus - approx.14.8km - Nudgee Catholic University - approx. 8.2km (Campus shuttle bus available at Chermside Bus Interchange) - Griffith Southbank Campus - approx. 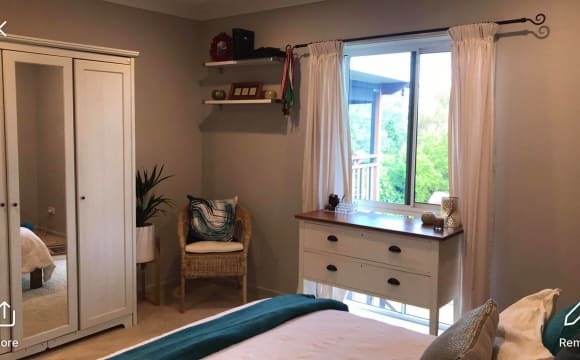 13.4km Shopping Close by: Chermside Westfield Shopping Centre - approx. 1.8km Other facilities close by: Marchant Park - approx. 500 metre. The Prince Charles Hospital - approx. 3.3km Holy Spirit Hospital Chermside - Approx 3.3km Public Transport Close by: Bus Stop - approximate 90 metre outside the house on Murphy Road (Frequency of bus: Every 15 mins to 20 mins) Bus 330 to QUT Kelvin Grove Campus, UQ School of Dentistry, QUT Garden point campus, city Cultural Centre will take you to within walking distance of South Bank and Garden point and return. What to do next: to book an inspection or apply online at www.padrooms.com.au Whilst all care is taken in the preparation of the information contained in this advertisement, Padrooms will not be held liable for any errors/omissions in typing or information. All information is deemed to be correct at the time of printing. We have a room available at our home from this coming week. Sadly our much loved flatmate is moving back home to Rockhampton so we need a new roomie to join our household of 3. What it’s like here : -4 bed 2 bath ( 1 spare room always for guest or roomie use) -Heaps of room, 2 lounge rooms!!! This means we’ve got plenty of space if you’ve got any furniture you want to bring. -Bathroom is shared with a couple who are hardly home. -Big yard with a lot of space to chill. 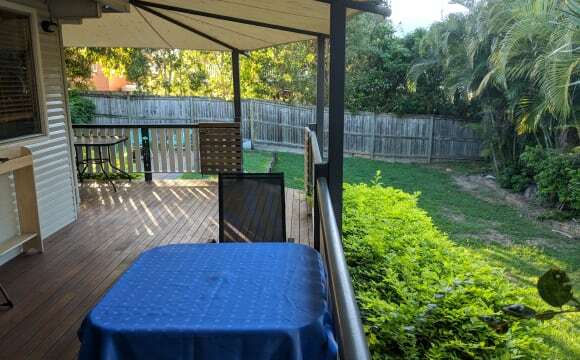 -close to transport (seconds walk to the bus stop) -close to chermside -8km to the city. -15m to airport Your possible new Flatty’s : - Me, 34 male. Own the place and have been here 5 years now. I have my own lounge and ensuite which means we all have room and privacy. I work Monday to Friday and happy to chat or have a drink. We are def not a party house. Those days are gone , maybe 4-5 years ago 😂. I’m relaxed and have no issues if you want people around. I just ask you to respect your flat ties and neighbours. - Chloe and Brendan , generally keep to themselves. Chloe works at the airport as a barista and Brandon works down the road. Friendly and quiet. You: Friendly , respectful and easy going. We have a pretty chill house and are looking for someone similar. Bring your furniture and come join us :) Looking for someone more long term. Location wise, it’s very close to Chermside Shopping Centre (2km), Geebung Train station (600m) and plenty of close buses. There are two room options (only 1 being rented). First option is 3.0mx3.0m with one large window. Second option is 2.5mx3.0m with two windows. Both have ceiling fans, built-in robes and powerpoints. Both have Tv points but I’ve never used them to know if they work, they look operational. There is a shared bathroom however two toilets in the house so toilet emergencies won’t occur. Kitchen is modern with gas cooker and dishwasher, as well as plenty of food storage space. Laundry is functionable. Massive outdoor entertaining deck with ceiling fans, BBQ, dining table and hammock. Large grassed yard for play with Rush. Parking is plentiful on-street. Rent includes Internet and all bills. Netflix and Stan are available on the lounge room TV. Room furnishings available are a king single bed and a tall boy chest of drawers if required. 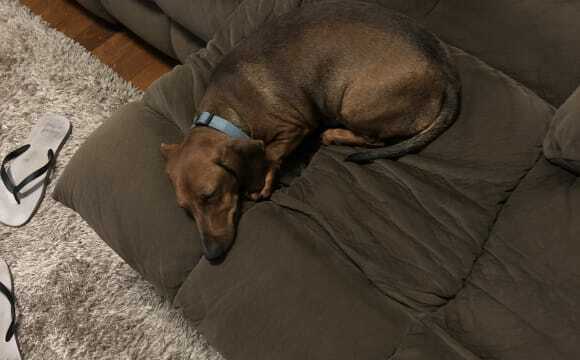 Should you like futons, one is also available as a double bed but not as comfortable.